To add a sprite to a scene, add a sprite component to an entity. Afterwards, you can control the sprite with a script. 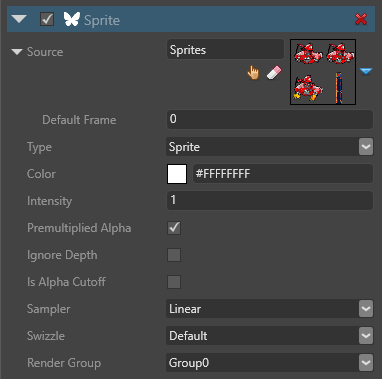 In the Scene Editor, select the entity you want to add a sprite to. To create an entity, right-click the scene or Entity Tree and select Empty entity. In the Property Grid, click Add component and select Sprite. Game Studio adds a Sprite component to the entity. Game Studio adds the sprite to the entity. 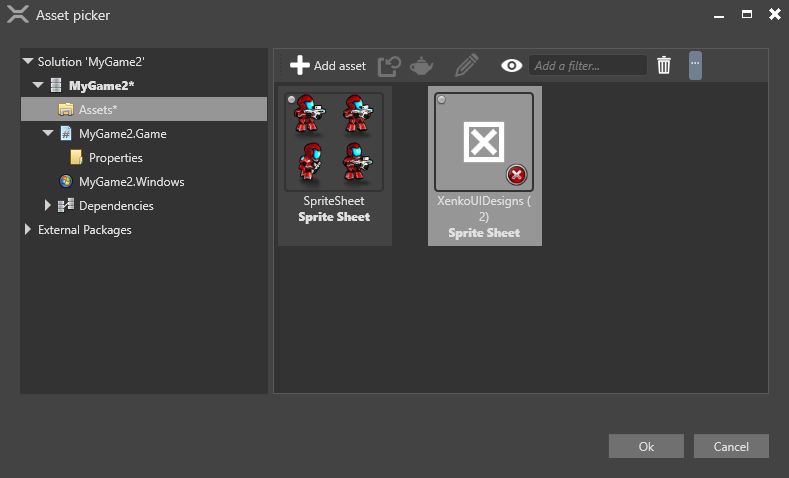 You can access the sprite component properties in the Property Grid. Type Sprites have 3D space in the scene. Billboards always face the camera and appear fixed in 3D space. Ignore depth Ignore the depth of other elements in the scene when rendering the sprite. This always places the sprite on top of previous elements. Swizzle How the color channels are accessed. Render group Which render group the sprite belongs to. Cameras can render different groups. For more information, see Render groups and render masks. You can use scripts to render sprites at runtime. To do this, attach the script to an entity with a sprite component. For information about how to add scripts to entities, see Use a script. This script displays a sprite that advances to the next sprite in the index every second. After it reaches the end of the sprite index, it loops. // Declared public member fields and properties are displayed in Game Studio. // Do something every new frame.